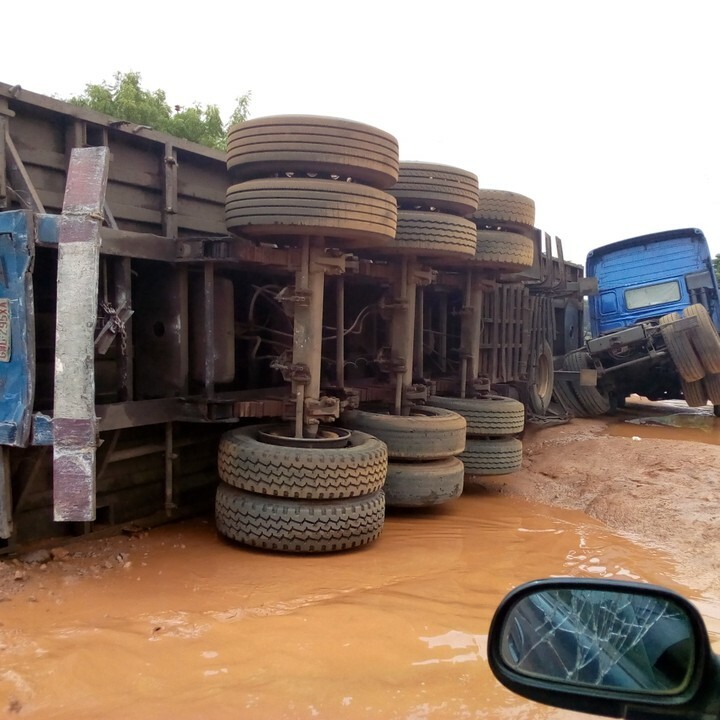 By the way, a truck traveling southwest to northern Nigeria was derailed along the devastating Kabba / Omuo-Ekiti highway (specifically in Ikoyi-Ijumu in Kogi State). 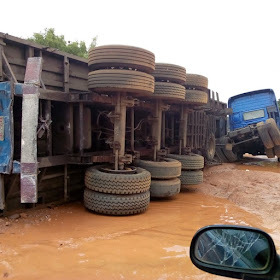 On average, ETA - Expected Arrival Time between Omuo-Ekiti to Kabba, Kogi State should not be more than 25 minutes at 120 km / h, but the ETA is now more than 1 hour, you can hardly "Pedal to the Metal "! !! The first question that came to my mind when I saw the incident was, "What if an innocent vehicle passed the trailer?" But we thank God that nothing like this has happened. It should be noted that most of the auto-crash incidence that has occurred in the past has often been due to poor roads ... 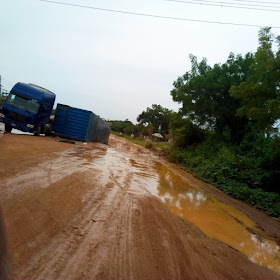 However, I will not deny that the federal government has attempted to find all feasible means to Repairing the Transportation Infrastructure The nation, but I would like it to shift more interventional attention in remedying some of the deteriorated federal highways, such as the Omu-Ekiti / Kabba Road, which is one of the major links between southern and northern Nigeria. Last but not least, I realize that this road has been in poor condition for several years without being repaired. 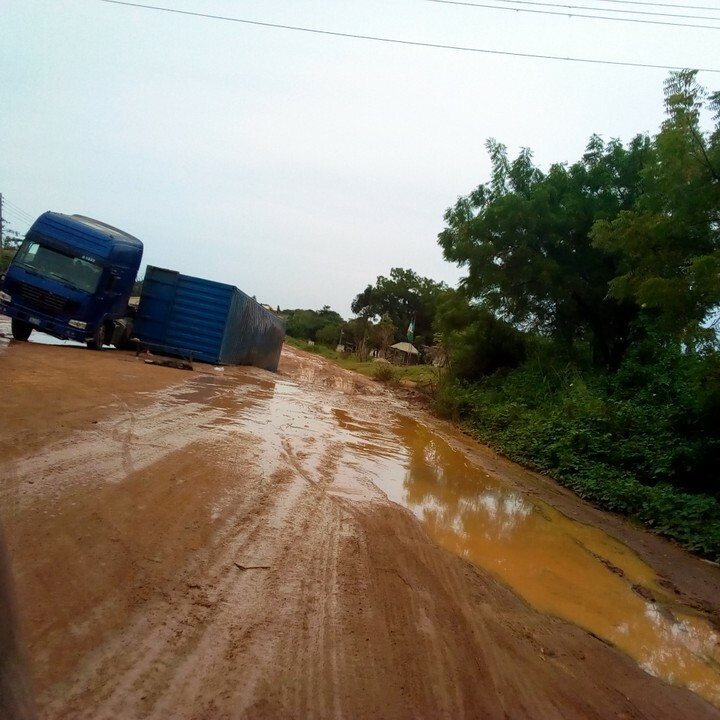 I use this medium to reach Federal Road Maintenance Agency (FERMA) to give in to this wake up call.